What captivates our young people these days? Stories. Yes, stories, but not the stories in books like we remember. Kids today are enamored by the digital device that is held in their hands or sitting in front of them as they play games to a STORY! Every video game made has some kind of plot, conflict, characters, and our kids are in charge of creating the outcome by the video “ability” they possess after hour upon hour of “gaming”. Fight it if you want, but I think relating it to stories you read in books is much more productive. You are creating a bridge between the “old school” reading and the “techno” gaming of today. Teaching lessons through books helps validate their importance and value. Books give us an amazing teaching tool, especially when dealing with social issues. I’m a big advocate of creating purpose for skills being taught by relating them to real life experiences kids can connect to. Books help you in this process. When teaching the skill of cause and effect, the youngest learners can grasp this concept when reading a story about a boy who jumps on his bed. You ask something as simple as what happened because he jumped on his bed? The answer is he fell through the floor. You have a story that kids are hooked into because what kid doesn’t jump on his bed? But the follow through with the skill is taught through the story; therefore he fell through the floor. Books offer such enrichment to a lesson with their pictures walking the children through a story depicting a needed skill. Social issues, friend problems, acceptance, and rejection are all subjects easier for kids to learn and process with books, since you are reading about someone else and someone else’s problems, not theirs. Teaching division? Drawing cookies on the board is okay, but reading about a boy sharing the cookies on his tray as more and more friends come is relatable to your students. Every kid has to share at some point and who doesn’t want to share with their friends? Another great book helping you teach a difficult skill with a story. Stories are a huge part of our kids’ lives though media and gaming. Books need to be as predominate, so use them to teach with. No matter what the skill; there is a book to help you teach it. 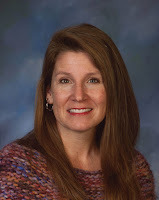 About the author: Molly Nero loves to sing, dance and read. She spent over 18 years teaching elementary school. Reading to her own children, she was inspired to write. 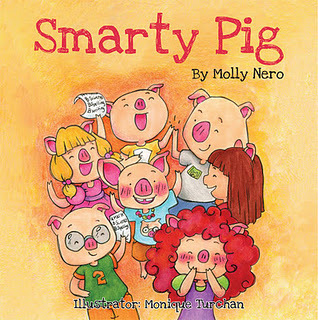 The second book in the Smarty Pig book series Smarty Pig and the Test Taking Terror releases in Spring 2012. Smarty Pig is the only one in the pig family who hasn’t given up on school and doing her homework. Although she is teased, her report card shows her hard work, while the others fail. The other pigs reach out to her and she becomes their tutor, by creating games in their home. They all realize learning can be fun and that it’s not just for school, it’s for life. You can find out more about Molly Nero’s World of Ink Author/Book Tour schedule at http://storiesforchildrenpublishing.com/MollyNero.aspx. 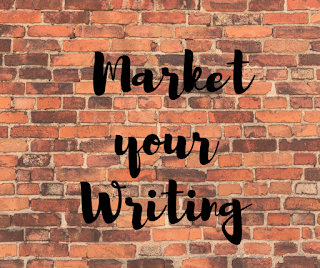 There will be giveaways, reviews, interviews, guest posts and more. Make sure to stop by and interact with Nero and the hosts at the different stops by leaving comments and/or questions. I agree with you completely Molly. Books are the perfect teaching tool, particularly for younger children. Great post. I enjoyed reading SMARTY PIG. I posted a review of the book on my blog yesterday. I agree also. Books are a great way to teach in an engaging manner.